These homemade Christmas tree ornaments are simple to make and they look very effective when hung from the Christmas tree! 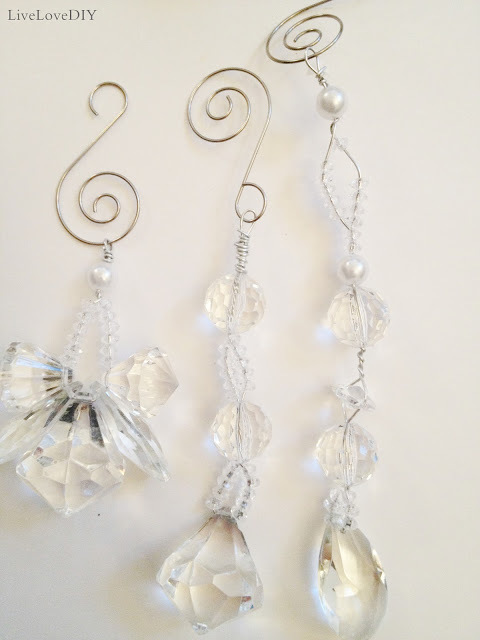 You can make these using most crafting beads and they are great fun to make either with your children or on your own! After choosing the main beads, I dug around to find other beads of similar color. Those teardrop beads for the bottom of the ornament are really sweet. I tried to find beads of various sizes so that, when stacked, the ornament would have a pleasing shape. Last year I made these beaded letter ornaments. I made family sets for all of our favorite (Christmas celebrating, tree decorating) families and mailed them out with Christmas cards. In total I think I (along with my helpers elves: Jamie and mum) made 80 of them! Beaded Christmas ornamentscan be very delicate looking. Some dexterity is required to string the tiny beads on thin wires, but the results are beautiful. Older kids can make the easier designs. 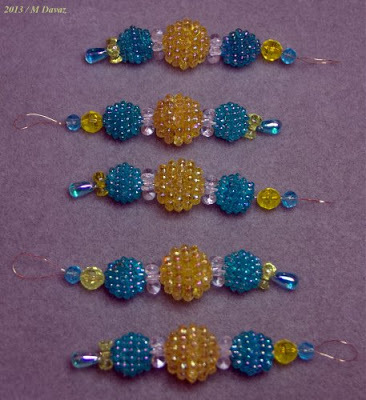 Enjoy trying these beaded Christmas ornaments. We turned our bottle top collection into Christmas ornaments. I poured pva glue into each bottle top… some overflowed causing a gluey mess which irritated me and delighted them. The kids decorated them with beads, buttons and glitter. The heavier beads sunk to the bottom of their white pva ponds. 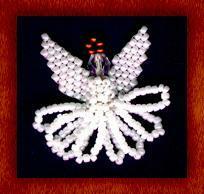 Make Adorable Sparkly Beaded Angel Ornaments~Great Kids Project! For more beautiful and simple craft ideas like this one, visit HappyBirdsCraftingHaven.com at http://www.happybirdscraftinghaven.com.